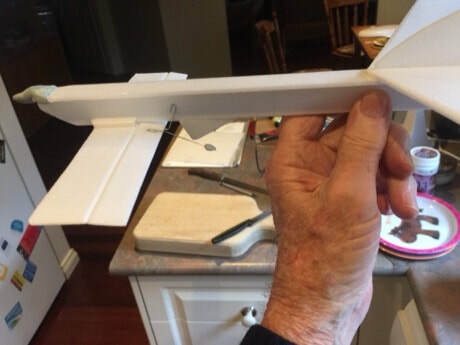 Start with a straightforward canard with the foreplane at the bottom of the fuselage. 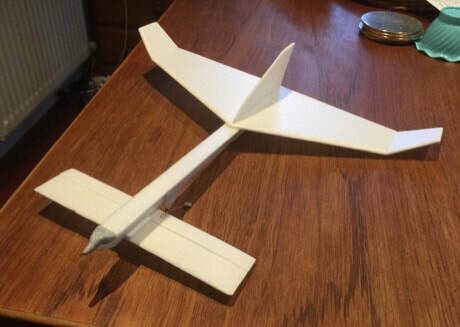 Make the foreplane "elevator" as a very loose, droopy attachment and glue a fine bendy wire to it with a small blob of blutak to keep it down so you get a nice flat glide with a smooth hand launch. 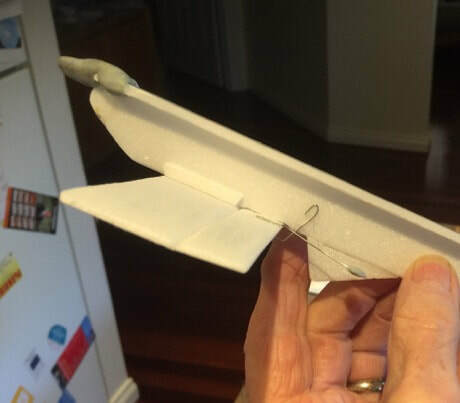 Another small piece of wire glued to the fuselage acts as an adjustable stop. The theory is that when the model is launched hard and near the vertical, the airflow will hold the elevator flat until the climb eases off and so you don't just get a big loop.